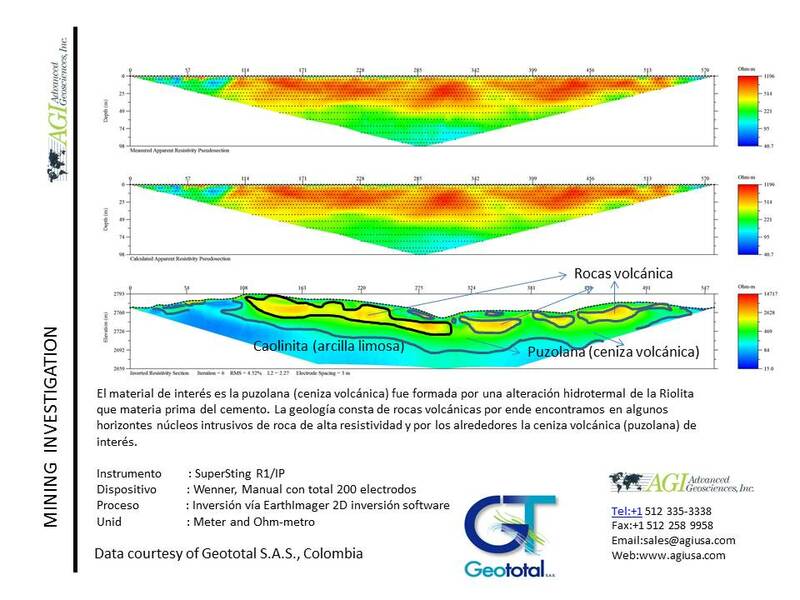 Our clients used AGI tools to explore a site of volcanic rocks in order to locate areas of raw material of pozzolan (volcanic ash), which can be mined and sold for profit. 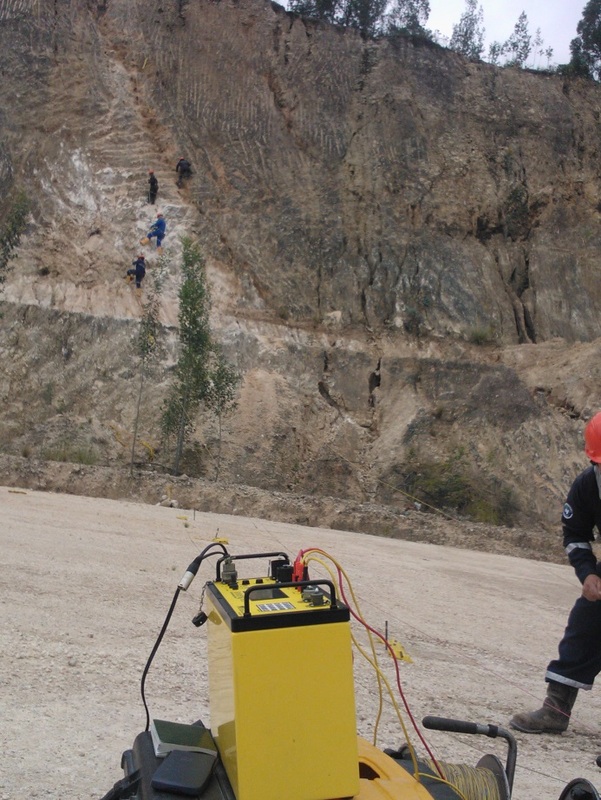 Our clients used the SuperSting™ R1 for imaging to survey the subsurface of the site in 2D slices in terms of resistivity. They used a Wenner manual array with a total of 200 electrodes. The manually-collected data was then inverted in two dimensions using EarthImager™ 2D. Areas of pozzolan were successfully located beneath the volcanic rock. You can use this method to locate bulk aggregate material—our clients were looking specifically for pozzolan for construction use. In this case, our client could sell the mined aggregate material for profit. You can also use this method to find water in any underground application. Additionally, the extreme terrain was no issue for our tools, which are built to withstand the elements. The SuperSting™ R1 is not only rugged and versatile, it is modular—since you can upgrade the system as needed to collect the same data in a fraction of the time it took to collect it manually. Additionally, AGI EarthImager™ inversion software has a built-in terrain correction routine, which makes it easy to process data from areas of steep terrain. Data Courtesy of: Geototal S.A.S.